Did you attend a program in 2016, 2017, or 2018? Has your address and/or phone number changed since your last Wilderness Torah program? Contact List: Would you like your contact information shared on the post-event contact list? Carpools: We ask everyone to carpool to the festival. Will you be either driving to the festival with room in your car or in need of a ride in someone else’s car? Please visit the Tu B’Shvat in the Redwoods carpool page as soon as possible to register as a driver or rider. Then, connect with fellow passengers for the journey! Volunteer: Would you like to volunteer for a few hours before or after this event? Drinks: We will be serving both juice and wine during the ritual seder. Would you prefer to drink juice, wine, or both? Do you have any medical issues or allergies that we should be aware of? We are inclusive to people of all backgrounds and do not discriminate based on gender or sexual orientation. These questions help us to serve the needs of our community and give anonymous information to funders who support our work to make Wilderness Torah as inclusive as possible. Are you currently a member of a synagogue? Are you part of an interfaith/dual-faith family? How do you identify religiously/spiritually? Are you registering additional people? Is this registrant part of your household AND living at your same address? Is this the registrant’s first Wilderness Torah program? Did registrant attend a program in 2015, 2016, or 2017? Has registrant’s phone number changed since their last Wilderness Torah program? 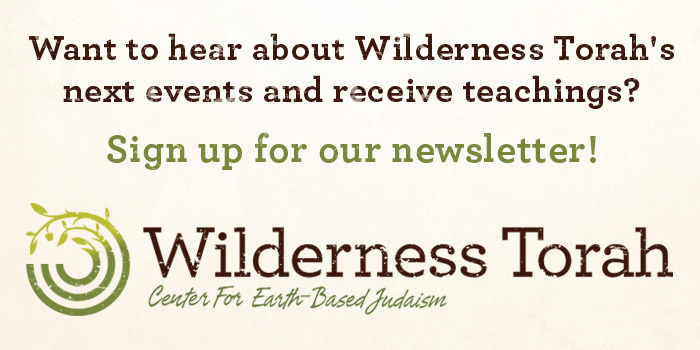 Has registrant’s address and/or phone number changed since their last Wilderness Torah program? Contact List: Would registrant like contact information shared on the post-event contact list? Drinks: Would registrant prefer juice, wine, or both during the ritual seder? Safety: Does registrant have any medical issues or allergies that we should be aware of? How does registrant identify religiously/spiritually? Is this your child’s first Wilderness Torah event? Milestone: Is your child celebrating a milestone during the event? Safety: Does your child have any medical issues or allergies that we should be aware of? AND I FURTHER AGREE that if, despite this Agreement I, or anyone on my behalf, makes a claim against any of the Releasees, I WILL INDEMNIFY, SAVE, AND HOLD HARMLESS EACH OF THE RELEASEES from any litigation expenses, attorney fees, loss, liability, damage, or cost which any may incur as the result of such claim. Moreover, if any disputes arise under or relate to this Agreement or the event, they will be brought exclusively in a state or federal court in the State of California, and this Agreement shall be governed by and construed and enforced in accordance with the laws of the State of California, without giving effect to the conflicts of laws principles thereof. CONSENT to receive medical treatment that may be deemed advisable as a result of any injuries I receive during the event and agree that I am solely responsible for all costs, including diagnosis, treatment, medical transportation, and evacuation, that may become necessary for me or another person as a result of any of my actions during the event. AGREE that any photographs and video footage taken of me during the event, as well as any testimonials written by me, may be printed, reproduced and published in any manner anywhere without any further consent by me or my family members and without any compensation to me. ACKNOWLEDGE that the program does not provide transportation to and from camping sites nor offsite program activities during the event, that any carpool arrangements among participants and/or staff are not part of the event, and I assume all risks of any such transportation. CERTIFY that I have read this document, understand its contents in their entirety, understand that I have given up substantial rights by signing it, and have executed this document below freely and without reservation or duress and intend it to be a complete and unconditional release of all liability to the greatest extent allowed by law and agree that if any portion of this Agreement is held to be invalid the balance, notwithstanding, shall continue in full force and effect. Participants must take responsibility for their safety by carefully listening to rules and following instructions. Unsafe behavior, failure to follow instructions, or extremely disruptive behavior may result in dismissal from the program. Use and/or possession of firearms, firecrackers, drugs, alcohol, tobacco, and unapproved knives, matches, lighters, or other items deemed dangerous is strictly forbidden. Participants may not damage Wilderness Torah property or the personal property of others. I am bringing a minor (person under 18 years) and have read and agree to this Youth Responsibility and Special Liability Waiver: We welcome youth of all ages to our events. In order to ensure their safety, all youth under the age of 18 must have a parent or guardian fill out this form, review this policy on the youth’s behalf, and sign for their youth participant. All youth under the age of 13 must be accompanied by and supervised at all times by at least one of their parents or guardians, or a responsible adult designated by their parent(s). All youth, ages 14–17, must be accompanied to the event by at least one of their parents, or a responsible adult designated by their parent(s). I understand that by choosing to leave my child under the supervision of another adult (with their express agreement), I take full responsibility for my youth participant and as enumerated above in Sections A through E, and assume all risks for my youth participant. Without limiting the foregoing, I, THE MINOR’S PARENT AND/OR LEGAL GUARDIAN, HEREBY DISCHARGE, COVENANT NOT TO SUE, RELEASE, AND AGREE TO INDEMNIFY AND SAVE AND HOLD HARMLESS EACH OF THE RELEASEE’S, FROM ALL LIABILITY, CLAIMS, DEMANDS, LOSSES, OR DAMAGES ON THE MINOR’S ACCOUNT CAUSED OR ALLEGED TO BE CAUSED IN WHOLE OR IN PART BY THE NEGLIGENCE OF THE "RELEASE0ES" OR OTHERWISE, INCLUDING NEGLIGENT RESCUE OPERATIONS AND FURTHER AGREE THAT IF, DESPITE THIS AGREEMENT, I, THE MINOR, OR ANYONE ON THE MINOR’S BEHALF MAKES A CLAIM AGAINST ANY OF THE RELEASEES NAMED ABOVE, I WILL INDEMNIFY, SAVE, AND HOLD HARMLESS EACH OF THE RELEASEES FROM ANY LITIGATION EXPENSES, ATTORNEY FEES, LOSS LIABILITY, DAMAGE, OR COST ANY MAY INCUR AS THE RESULT OF ANY SUCH CLAIM.